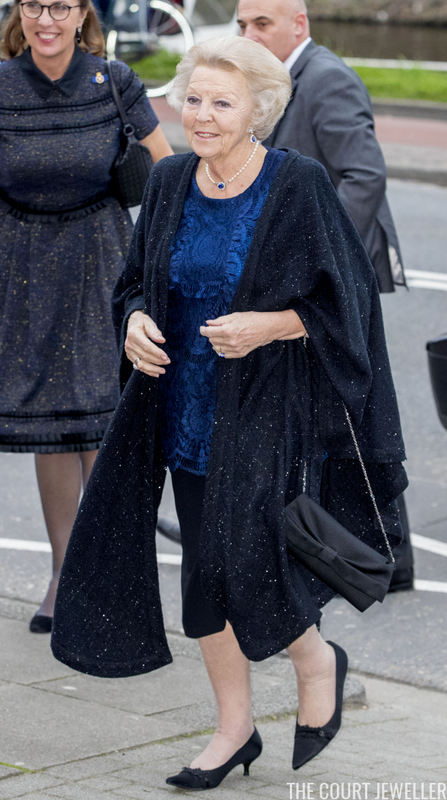 Queen Maxima and Princess Beatrix of the Netherlands were among the members of the Dutch royal family who gathered in the Oosterpoort in Groningen on Monday for the annual King's Day concert. Here's a look at the jewels for the event. Maxima wore an unusual pair of statement earrings, shaped like seashells, for the concert. She paired the earrings with a very patterned dress, perhaps wisely keeping the rest of her accessories to a minimum. What else could possibly compete with this frock? 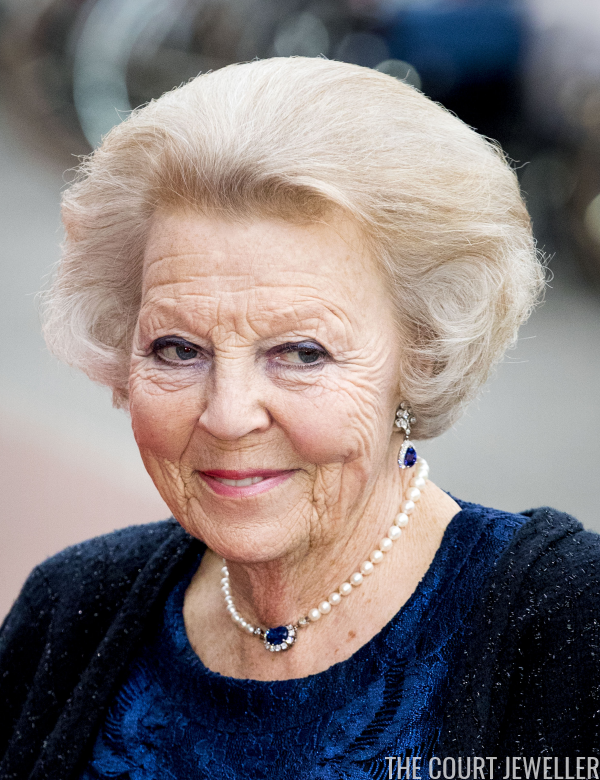 Princess Beatrix went down a more traditional jewelry route, wearing pieces from her collection of sapphire jewels. Here you get a good look at her diamond and sapphire drop earrings, as well as her pearl necklace with the sapphire and diamond cluster clasp. 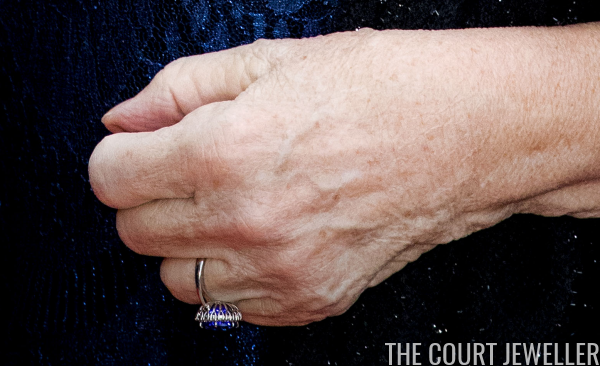 She also wore a large sapphire ring on her left hand. Here's a look at her entire ensemble. I believe I also spot her diamond engagement ring on her right hand.